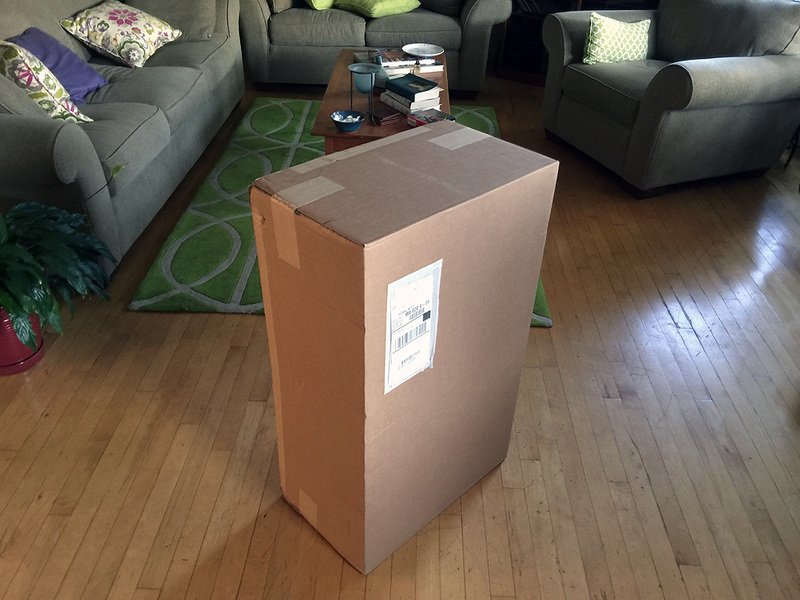 A large box from Gardener’s Supply Company showed up at the RainyDayMagazine office last Thursday. No one opened the box because everyone was busy “getting ready” for the Patriot’s first game of the season and nobody wanted to get inexorably drawn into “playing” with whatever was in the box, which is what always happens when GSC sends us something. As it turns out, we would have been better off had we spent the time unpacking the “mystery box” than watching the Patriots get creamed by the Chiefs (27-42)!!! We got back to the box the day after, and found it contained a Coltura adjustable indoor LED grow lamp! This new item was designed by Cody Allen McKibben and is a Gardener’s exclusive. In the Spring we mentioned to GSC that our rosemary and other kitchen herbs had managed to survive the Winter but all got a bit—to be technical about it—”leggy.” They replied that they might be getting something new this year which could help with that. When they announced the Coltura, we knew we needed to take a look. 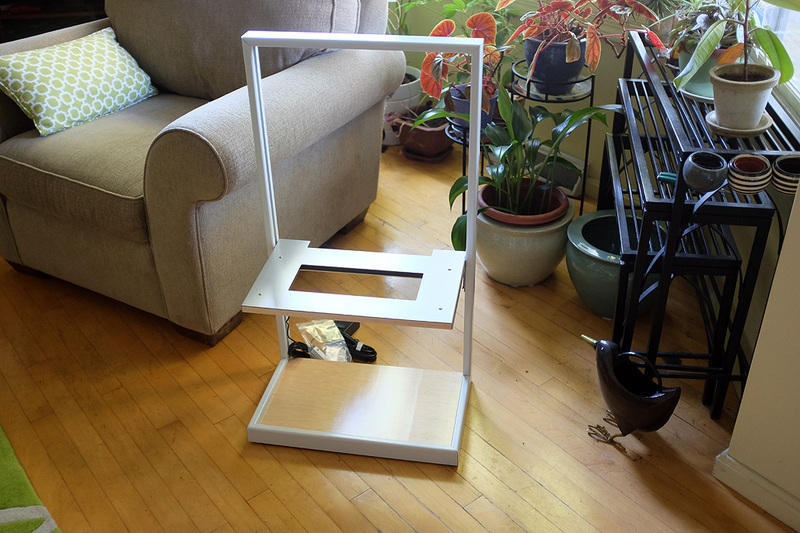 The Cultura Grow Frame is very well constructed and came fully assembled. It is easy to adjust and is wall-mountable. 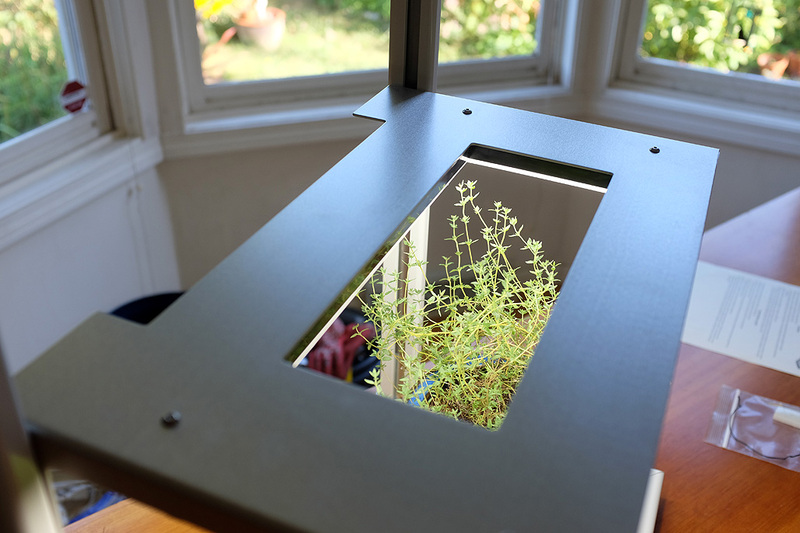 The main structural components are made from aluminum, and the entire unit weighs less than 10 lbs, light enough to be hung on any dry-wall wall if properly anchored. 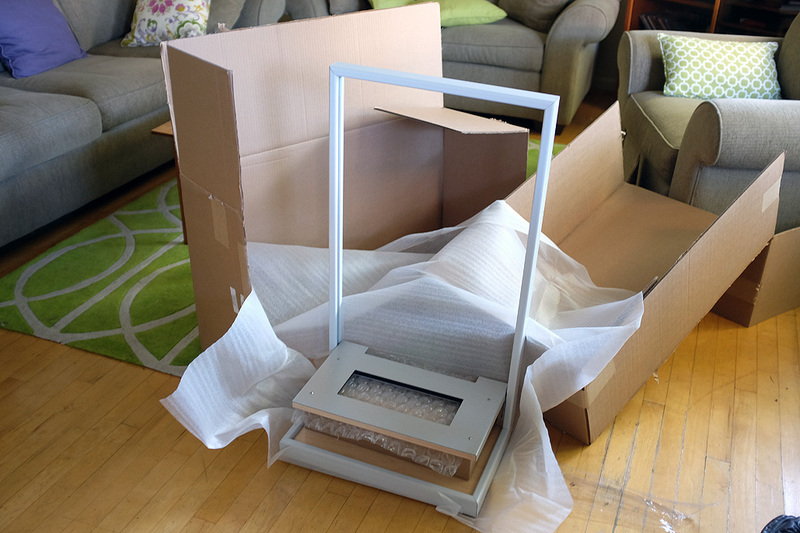 The frame can sit on the floor, on a counter, or on top of a table. The choice of placement is pretty flexible as the look is simple, clean, and modern. We can even see it mounted in front of a window. The button that turns on/off the light is on the light itself, i.e., on the underside of the light panel. The power cable for the LED lights can be attached on either the right or left side of the panel. There are guides on either side, so the power cord may be securely tucked out of the way…a very nice touch. 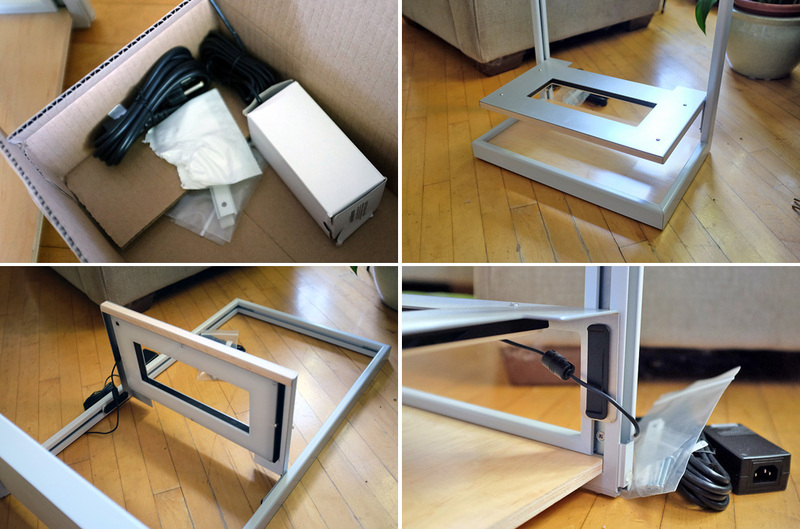 The LED light box has an open rectangle in the middle of the panel. We like being able to see from the top through to the plants underneath. 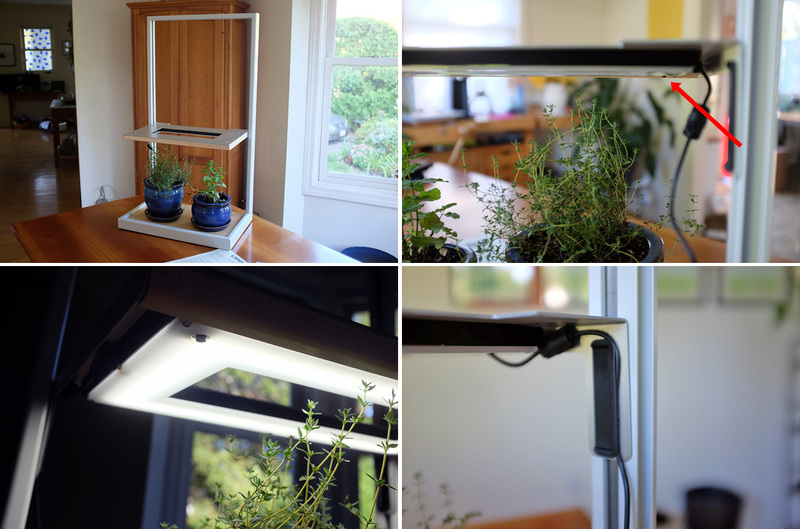 It gave the unit a more open feeling and room for plants to “poke through” should we not have a chance to move the light. The light panel has a diffuser to eliminate glare from the full spectrum LED grow lights. 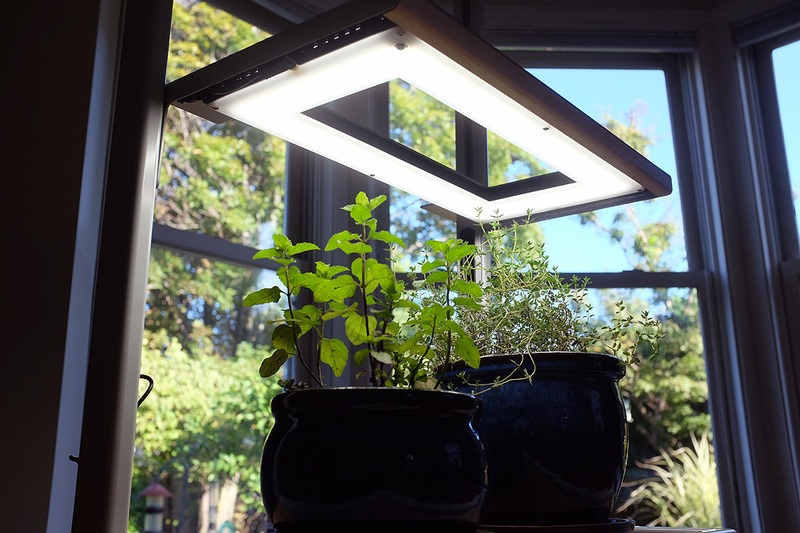 Full-spectrum lights are designed to mimic natural sunlight to help the plants grow healthier and have better yields. The LEDs in this unit are boosted with extra blue light to stimulate stronger root growth and enhance photosynthesis. We are eager to give it a try this winter and see if this lamp makes a difference. Tomato Cages, bean tower, and raised beds... oh my!